Fidget, spinner, toy, mobile, planets, wire sculpture. Hairdresser - scissors and blow dryer - purple dress, long hair. I ordered the Lawyer Wire Sculpture as a law school graduation present for my boyfriend and it is exactly like what is shown in the preview picture on your shop! I can’t wait to give it to him! I know he will love it! Thank you, Ley and Lu! It’s perfect! It was a pleasure working with you. Thank you!! Custom made horse was just what I wanted! Love the time! Many thanks! Our palette of colors at our pop-up shop in NYC. 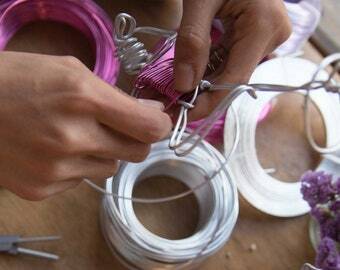 Artist, painter, character, wire-people, painting palette, sculpture. One Million Roses was founded in 2012 by Lucia and her husband Leynel. Lucia a natural artist learned how to “paint” using wires as expressive colors and her hands as brushes, pretty soon after they met their dreams entwined and New York’s streets became their gallery. The tangles of pedestrians and custom orders inspired them and pushed their boundaries of creativity—Leynel loves saying “yes” to special requests, and Lucia approaches every new opportunity with excitement and flair. Daily Interaction with people in the streets of New York shaped their vision of twisting aspects of people’s life into Wire Sculptures. 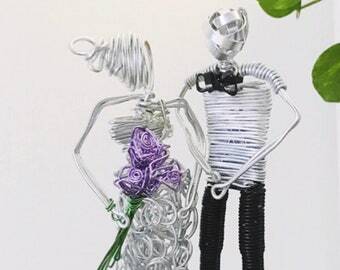 Their story continues to unspool making wire sculptures while raising their only son Sebastian.